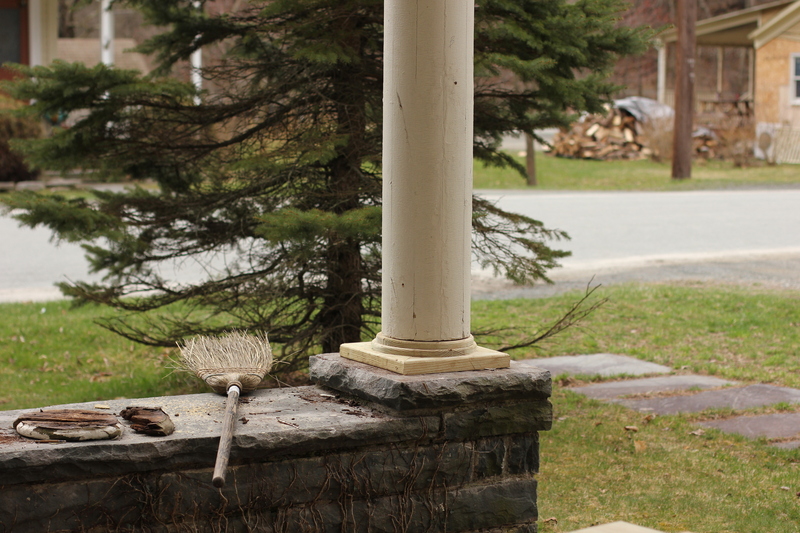 With spring in the air, it’s time to focus on some exterior work to house (thank you Carpenter John). 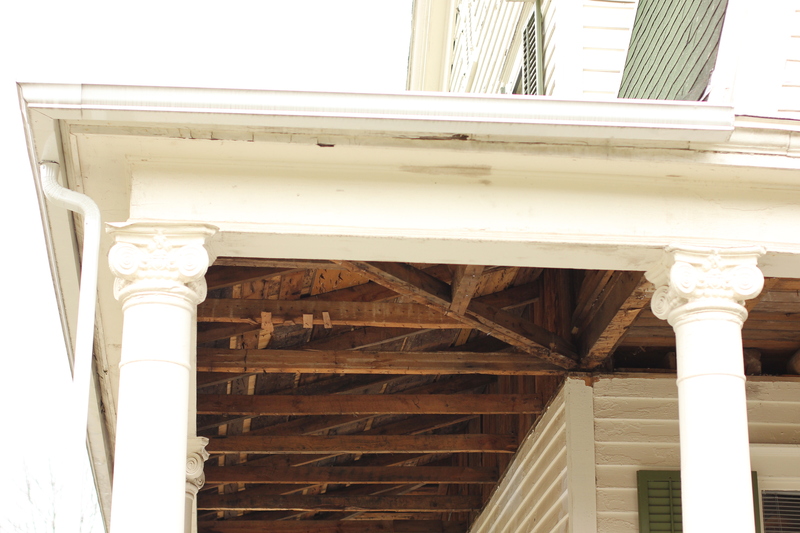 We have a massive wrap around porch on the main house, unfortunately it’s been neglected for some time. 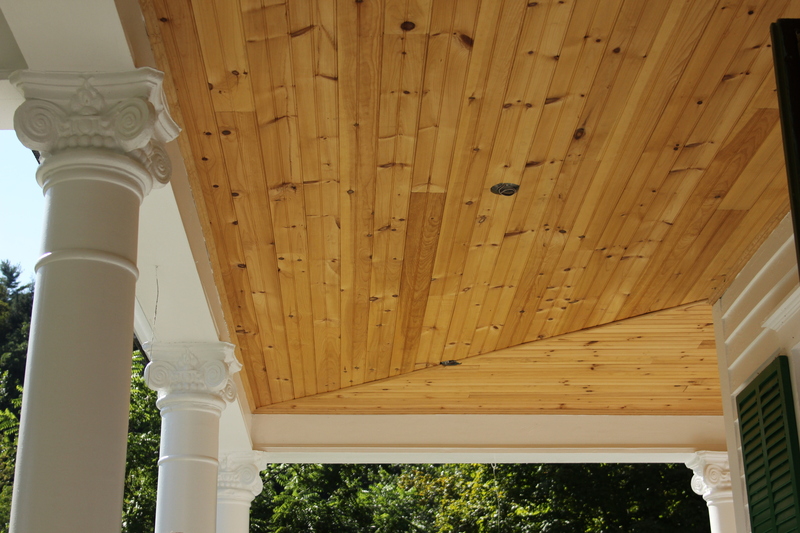 We’re replacing the porch roof, ceiling, floor and column bases. 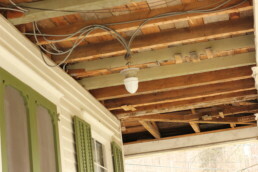 To preserve all the original wood and trim the exterior of the house and barn also needs to be completely painted (a major investment well worth it). 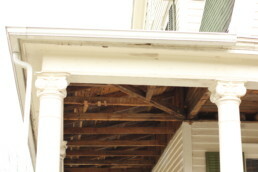 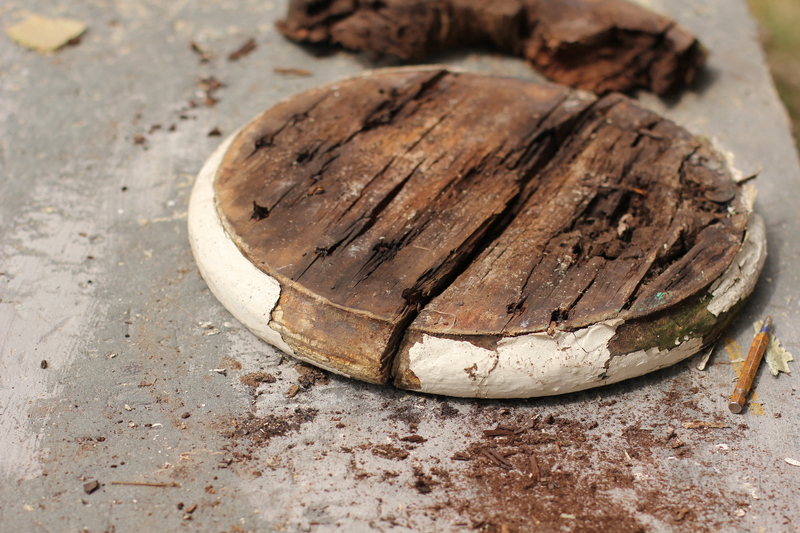 For such a historic home we want to replace everything back to it’s original character, or as close as we can get it. Take a look at some of the construction going on at the Woodman House. “After” pictures to follow!